Welcome back. In the early 1970s, when I was a visiting instructor at the University of the Philippines Los Baños collecting data for my PhD dissertation, the International Rice Research Institute next door was developing rice varieties that contributed to the Green Revolution. Rice Research Institute (from irri.org/). 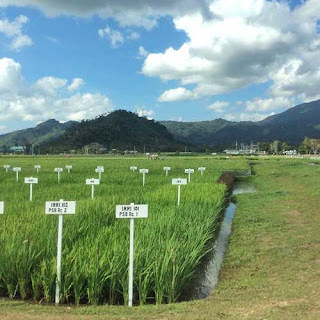 IRRI, established in 1960, is now one of 15 members of the CGIAR Consortium of International Agricultural Research Centers, a global network of organizations engaged in research for a food-secured future. There are many other researchers working to increase food production. They’re found in government, academia, industry and organizations, such as RIPE--Realizing Increased Photosynthetic Efficiency--an international research project supported by the Bill & Melinda Gates Foundation, the Foundation for Food and Agriculture Research and the U.K. Department for International Development. I became aware of RIPE through one of its research studies. One major hurdle to meeting the ever-increasing demand for food is the availability of water. While research has successfully increased crop yields over the years, there has been no attendant change in crop-water demand. RIPE researchers affiliated with the University of Illinois, Polish Academy of Sciences, University of California, Berkeley, and the U.K.’s University of Lancaster set out to improve crop water-use efficiency without affecting crop yield. 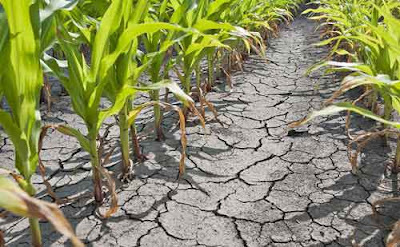 Reducing a crop’s water requirements would increase its viability in drier periods and drier regions. Though a short-course in plant physiology would help, I’ll try to hit the high spots. The researchers’ goal was to improve the efficiency of photosynthesis, the process plants, algae and certain bacteria use to harness energy from sunlight into chemical energy; the process that uses solar radiation to transform water, carbon dioxide (CO2) and minerals into oxygen and organic compounds, such as glucose. 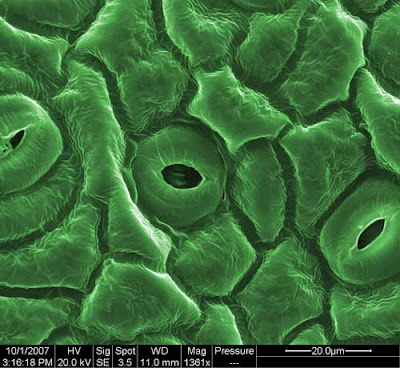 For a plant to capture atmospheric CO2 during photosynthesis, its stomata (plural of stoma), the microscopic pores found mainly in plant leaves, must stay open. The open stomata allow most of the water absorbed by plant roots to be transpired to the atmosphere. Because stomatal opening controls both CO2 influx and water vapor efflux, stomata have to respond to many different cues to balance the fluxes. The researchers predicted that genetic manipulation to increase the expression of a specific protein, PsbS, in the photosystem of a plant’s light-harvesting complex would decrease stomatal openings in response to the quantity of light and, thus, decrease water loss. To test their hypothesis, they generated tobacco plants (Nicotiana tabacum) with both increased and decreased PsbS expression and monitored the plants’ growth under controlled and field conditions. The results showed the light response of stomata was clearly affected by PsbS expression. Under field conditions, the tobacco plants with increased PsbS expression had an average reduction in water loss per CO2 assimilated of 25% with no effect on yield. The study demonstrated that tweaking one gene could improve tobacco’s water-use efficiency without affecting its yield. The researchers point out that, although tobacco offers properties that facilitated the experiment, the role of PsbS is universal in higher plants. The genetic manipulation should be applicable with all crops. They emphasize the urgency to test and adopt strategies to improve crop water-use efficiency in light of the time required to develop new crop varieties and the rise in global temperatures.